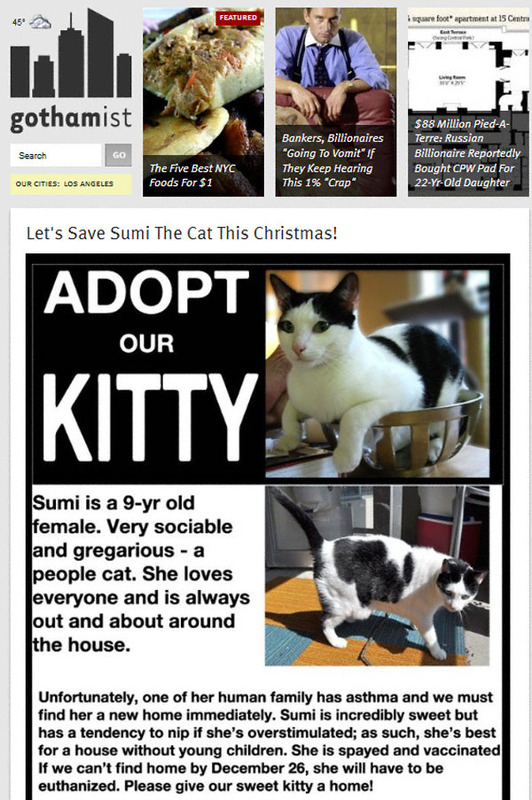 Quicklink: Sumi Needs A Home! When I found a missive in my inbox about the plight of Sumi this afternoon I simply had to make my fellow animal lovers at Gothamist* aware of her situation. Those of you who want to give this lovely gal a home for the holidays (and the rest of her life) can get the full low-down by clicking here.